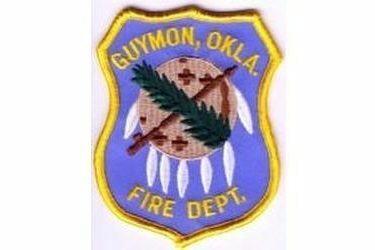 Guymon Firefighters responded to a 911 report of a house fire Thursday afternoon. Firefighters arrived at 123 N. Oklahoma at 1:43pm to find flames and smoke coming from a window on the back side of the house. Firefighters were quickly able to contain the fire to a bedroom in the home. Heavy fire damage to the one bedroom and moderate smoke damage throughout the rest of the home occurred. First arriving Guymon Police Officers with the aid of construction workers next door were able to assist a 93 y/o female occupant out of the smoke filled house without any injury just before Fire units arrived. Guymon Paramedics quickly cared for the occupant at the scene where she was treated and released. Investigation is still ongoing but it is suspected a space heater in close proximity to other combustible materials may have been the cause of this fire. Estimated damage of this fire is $10,000. Guymon Firefighters were assisted at the scene by the Guymon Fire Department, Guymon City Utilities, and Tri-County Electric. No other injuries were reported at this scene.